It becomes a somewhat obvious stance that the effectiveness of the provision of a security service and the tactics, techniques and procedure adopted is solely reliant on the calibre of the individuals providing that service. The previous training and experience of those individuals naturally determines this ‘calibre’. Unsurprisingly then, if training standards are mediocre or even, ‘unfit for purpose’ then likewise, the resultant performance of those individuals will match it hook, line and sinker. The operational environment is no place to learn the basics of providing protection but is the place to perfect the skills learnt, albeit within a team environment. In 2006, the Security Industry Authority, (SIA), working on behalf of the United Kingdom’s Home Office to license and regulate the private security industry and enforce the Private Security Industry Act 2001, imposed their own training standard for the Close Protection ‘industry’, a debacle on which I published a book. The sector became licensed and enforced with criminal records and identity checks. However, to this date, their stipulated standard permits almost anyone to enter the industry. After attending a ‘course’ of only 140 hours duration or between 12 & 17 days, a license is granted to permit the provision of protection to another person as an occupation. There are no obligatory requirements to which the courses are delivered either in terms of theory to practical or student to instructor ratios. 284 commercial CP training providers are registered with the SIA to deliver this standard. In consideration to the important nature for many of the reasons for ‘Close Protection’, one could quite rightly conclude that this standard remains unfit for purpose. The imposition of such by a government authority has seen the ‘CP World’ manifest itself into a conveyor belt of ‘clones’ of empty suits, untrained and ineffective, and without succumbing to any processes whatsoever of any selective employment criteria. It has then become a ‘roll of the dice’ for any prospective client as to what ‘service’ they actually receive – two-week ‘trainees’ or proper and effective risk mitigation by properly trained and experienced operators? ‘Real’ operations are no place to learn the trade and no place for any Principal/ Client to be afforded protection by those who have just conducted 2 weeks of ‘training’. 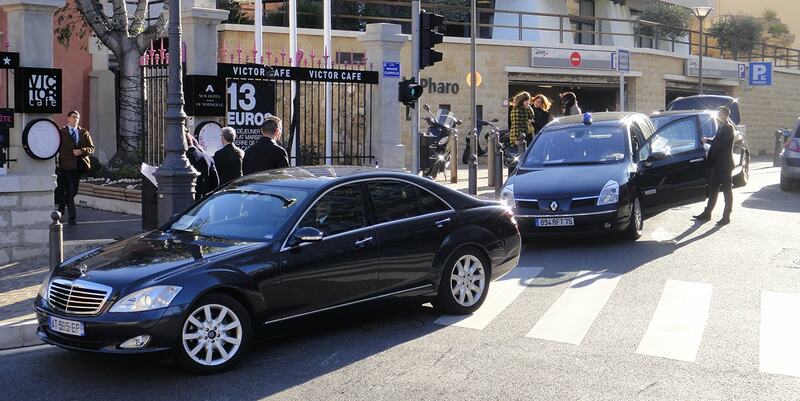 There is no defined line in the provision of Close Protection. There should be no defined line in the provision of Close Protection training. When one further considers that the UK is at the forefront worldwide in such an actual training ‘standard’ for commercial CP, it is no wonder then to hear that other countries provide ‘training’ typically over only a 3 or 5 day period. A huge difference exists then between government (Police & Military protection teams) and those of the civilian commercial market. Some may argue that the only differences present are those of the enormous backup support that these units enjoy together with intelligence flows from diverse agencies and the freedom of operational capability. However, whilst these reasons are most certainly true, the commercial world is influenced by factors that harm and hinder the very professionalism and image of the bodyguard (BG) as a whole. Factors whereby the main purpose is profit and not the operational mission. Factors involving the ‘sell’ through a play with words, companies that state they provide elite former Royalty & Specialist Protection, Royal Military Police Close Protection or 22 SAS when in reality they employ those that are fresh off a 2-week course to reduce the wage and maximise their profit margins. One can observe a similarity between protection teams assigned to protect the world leaders throughout the world. From military to government assigned protection, those employed are at the top of their field of their respective countries. Unfortunately, some ex-members of these professional teams rely on their past service and the reputation and public perception of their respective units and regiments when they enter the commercial environment and subsequently do not uphold the basic standards that Close Protection demands. They form training companies yet stick to the unfit for purpose standard the SIA impose preferring a footfall of a ‘quick buck’ approach as opposed to proper fit for purpose standards they were once part of. It can remain a difficult task to change the mind-set of those delivering protection training and those providing it. The common theme throughout the world of the same textbook drills and of the same textbook positioning is, for the most part, neither effective nor appropriate. The threats experienced by most operations are initially covert. They are unseen, they are hidden and they are clandestine. If protection does not involve detecting those threats that are unseen, hidden and clandestine then their presence remains merely as a reactionary one. When those covert threats become overt attacks then any reaction is on the wrong-foot. Poorly positioned, unaware and taken completely by surprise. If protection operations do not consider and adopt covert methods of deployment in detecting those threats then the operation will be watched, weaknesses exposed and attack options determined – with much ease. Yet, within the commercial foray, the monetary aspect remains the pivotal focus of the many, both in training and the ‘service’ they provide. Such training content is not included in courses either as a result of the instructors themselves not having sufficient knowledge to teach the objective or for no other reason than the licensing dictated boxes are already ticked. The responsibility for another one’s life is one that (should) supersedes all others. However, generally speaking, I find that there is an inherent blasé attitude amongst those commercially employed in ‘low to medium risk’ and on occasion ‘high risk’ environments around the world, whether it is the operative on the ground or the contracted security company itself. This is due in part to the result of a combination of factors that influence the very framework that this employment entails. Factors ranging from the inexperienced ‘bodyguard’ being employed in positions they should not be, to the training they have received (or lack of it) to the ‘bums on seats’ work ethics of some security providers in securing the contract. Bodyguards ‘going through the motions’ of ‘Bodyguarding’ without using any intellect or attempting to get their face on TV or picture in ‘Hello’ or ‘OK’ style magazines – or even taking ‘selfies’ with Principals and posting to Instagram, Twitter or Facebook underlines this very argument. I have travelled to many different countries and have witnessed many different ways in which those countries afforded their own style of protection to their Principal’s. For the most part, that protection was overt. It was ‘Hollywood’, it was textbook and it was predictable. Choreographed movements and positions disregarding any immediate presence of any threats, or not, becomes a state of disproportional reality. Unfortunately, it is this ‘disproportional reality’ that is so often witnessed within the commercial CP environment. ‘Bodyguards’ that are purely going through the motions without thinking. The Role of Close Protection is indeed ‘To Protect the Principal’ but it encompasses ALL aspects of protective measures that work in concert; physical and technical combined with constant thorough planning and sound operational procedures to negate/ minimise risk or the threat of risk to kill/ injure/ or harm another in any way. — Consequently, the overall level of protection afforded to the Principal is only as good as the weakest link both in terms of the skill level of those concerned and the Tactics, Techniques and Procedures adopted. If the training of those employed is not fit for purpose then so too is the delivery of the service they provide. Mobius Specialist Training delivers training to help existing CP Teams improve the provision of Close Protection they offer by reviewing and enhancing the behaviour of each team member through advanced application of methods to counter surveillance and counter attack. Utilising specialist tactics, techniques and procedure already in use with various government Special Forces and Police protection units, we will maximise the effectiveness of your team. Our instructors bring their experience of serving in these organisations to you and can deliver further training in Advanced, Protective, Evasive & Defensive Driving and the full scope of associated disciplines including the use of vehicles and advanced firearms use. Mobius International only provide former government Protection, Surveillance and Intelligence specialists. 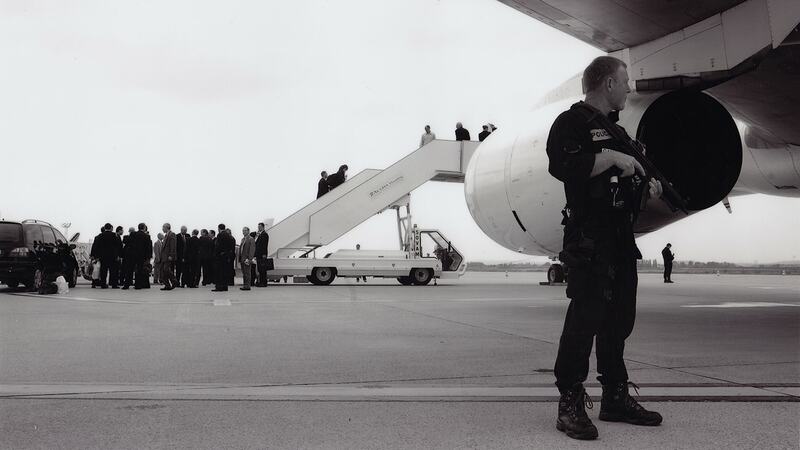 Our people have extensive international experience in providing all types of protective services to members of royalty, governments, the military as well as influential world business leaders and high profile VIPs. If you would like us to assess your security with the view to the provision of Close Protection then give us a call. It’s what we do.